This gurdwara is in a coastal forest near Sikh farms . When I visited during worship , I wore a black turban in memory of Amritsar. Sep 27, 2017 - , Australia’s First Sikh Temple is the honour and pride of Woolgoolga’s Sikh community. Nearby , a boat arrived in Bundjalung country some centuries ago from Ngareenbeil "overseas islands" and meaning "your beloved countryman" in Javanese language. The boat came because of wars in the central part of the world . Javanese tantu means "world-order. the world =Java". King Kritajaya of Java escaped an attack in 1222 and disappeared without trace and went to devalaya. An ancient military unit , Wirabraja , of Java wore red hats similar to Sikh chakram . Is it possible that Punjabi soldiers served in Java after the 1021 conquest by Ghazni ? 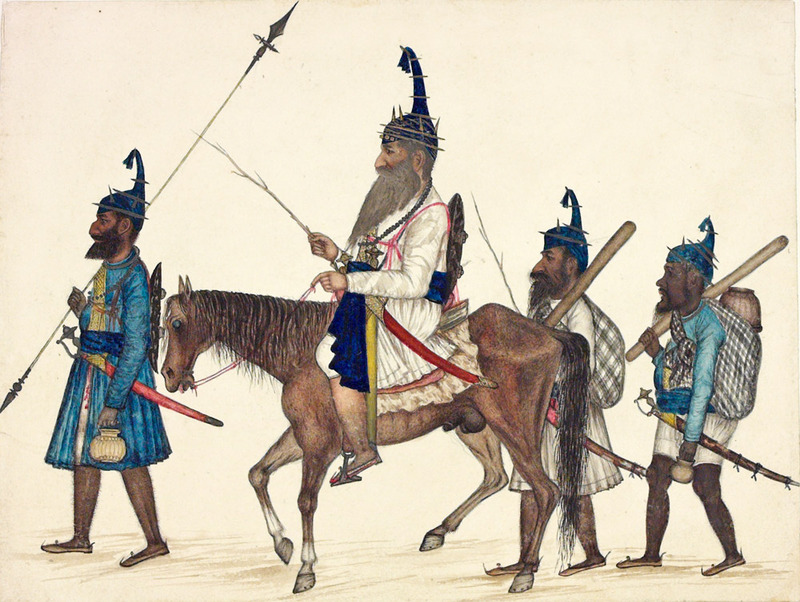 Do you know whether Punjabi were in Pandya or Chola armies? Here are the Wirabraja , who led the parade on Indonesia's Independence Day . They had served the Mataram Muslim empire which was founded by a descendant of a Hindu-Buddhist king of Majapahit 1293-1500. Could these hats be from chakram? These concepts are in Old Javanese language ( 800-1300 CE). dāru (Skt) piece of wood, wood, timber. wāla 1. (Skt young, , boy ) junior . wala 2. In compounds it seems to be ``all kinds of, in every respect''. Indonesian culture appears to include Australian contacts. 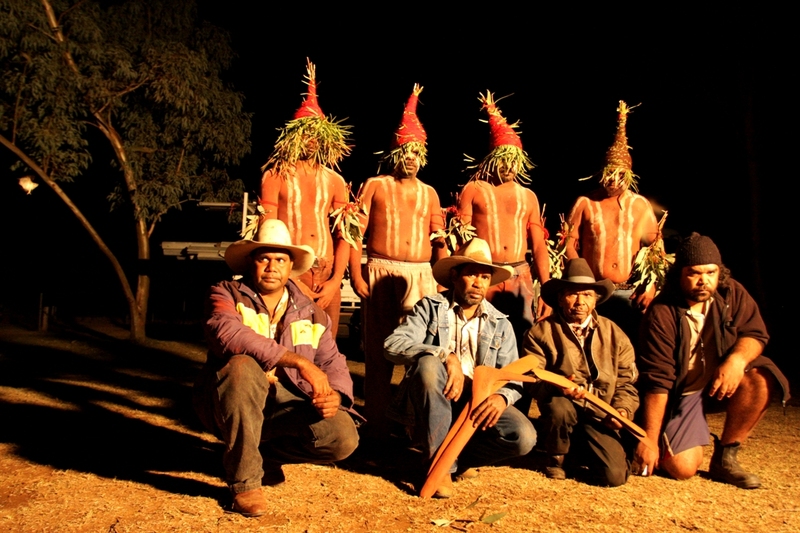 by MD Jirrar - ‎Traditional stories tell of their arrival at the mouth of Lake Illawarra ( east Australia) in canoes . They brought the Dharawal or Cabbage Tree Palm with them from the north and are named for this sacred tree . Bengal bangalo bungalows are Indonesian bangla / banglo . Dharawal dharawal and bangalay trees were used for constructing houses in ngurra "camp-sites" , ngura "country". Dharug language darangara means the dharawal tree ( at Sydney Australia). Nagara is "country" in Indonesian and was the royal Hindu-state government of Bali. As the legend says there was a royal wedding by the people from the north, then probably Punjabi soldiers were on the 3 boats from Indonesia which is the topic of this thread. Punjabi soldiers may link with Punjabi. The connection with Sikhi is that Sikhi are Punjabi , an Indian people of India a country which is off the coast of Laccadive Islands in Indian Ocean near Gulf of Oman. The link above is dead but this one is OK if you close the gap www. wollongong ( as the address won't copy exactly). It seems that chakra also came with the boats. The architect of gods, Vishvakarma made the sun shine less so that his daughter could hug the Sun. The left over stardust was made into Sudarshana Chakra of Vishnu. Vishnu rides Garuda in Indonesia and chakra was used in Australia. In Australian Aboriginal mythology , a Wurundjeri dreamtime story tells of a great eagle; "the all powerful, ever watchful creator of the world", named Bunjil, who "once gazed down upon his people from the star Altair and saw their wrong doing. Awaiting their return, with a mighty crash of thunder, he hurled down a star to destroy them". Where the star struck created a gorge in which much of the town today is located. Bunjil's people remembered the spot, and referred to it as Warrandyte, speculated to mean "that which is thrown"
Gold was first discovered in the town in 1851 and probably was seen as the star debris . Bunjil is at planet Jupiter like Brihaspati and Altair is in Aquila "eagle" constellation like Garuda. dyuti ( Skt jyotis) heavenly bodies . Hindu-Buddhist king of Majapahit 1293-1500. 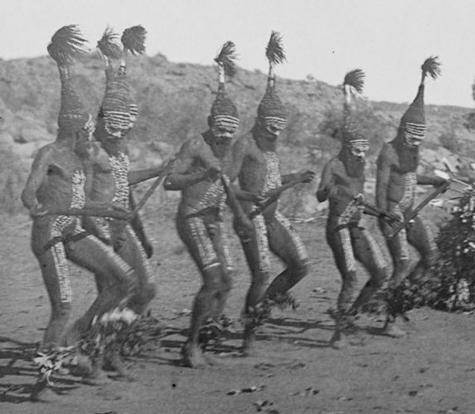 There is evidence for chakram hats in central Australia which SikhNet mods. will probably allow me to post. These images are too wide for posting. 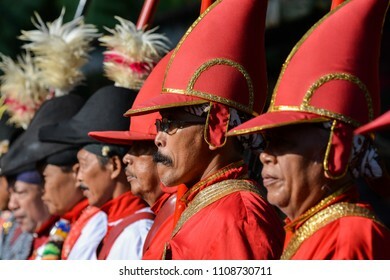 They show red hats in Australia similar to Wirabraja in Indonesia and Sikh chakram hats. Copy and close the gaps where blue line ends to search image. 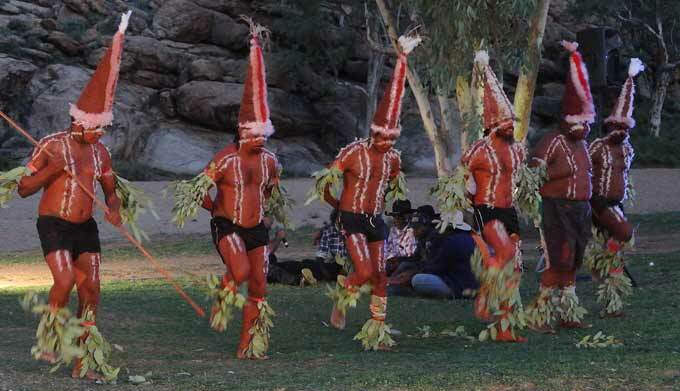 Arrernte country , central Australia. Sikh blades in chakram hat. Moderator Note: We have removed those spaces from links. Please remove the spaces (gaps) before pasting the link next time. Thanks. Punjabi contact with Indonesia is suggested by the term saka in Sindh and Punjab. The beginning of the Saka era is widely equated to the ascension of Chashtana in 78 CE. Ptolemy 2nd century CE, "Geographia", qualifies the Western Satraps as "Indo-Scythians" and describes Chashtana's territory as Patalene Sindh in the West, his capital Ujjain in the east and beyond Barigaza in the south. Baruch / Barigaza traded with Indonesia. The Bali Saka calendar is calculated from the beginning of the Saka Era in India, and is used with the Balinese pawukon calendar, and Balinese festivals can be calculated according to either . The Indian saka calendar was used for royal decrees as early as the ninth century CE. The same calendar was used in Java until Sultan Agung replaced it with the Javanese calendar in 1633. _ Haer, Debbie Guthrie; Morillot, Juliette & Toh, Irene (Eds) (1995) Bali, a Traveller's Companion, Editions Didier Millet. p 24 , 228. "The Indonesian saka guru construction is employed in buildings that are constructed with a joglo-type or tajug-type (pyramidal) roofs. The joglo type roof is only reserved for the house of the nobles, while the tajug-type roof is used to support sacred buildings e.g. mosques or temples. Saka guru consists of the word saka and guru. According to the Javanese text of Kawruh Kalang, the guru or "teacher" is a title given to the four wooden beams, while saka or "post" is for the four main posts. Thus the whole configuration is known as sakaguru,.. "the saka which supports the guru". In Indonesian language, the term saka guru is used to signifies a fundamental principle. For example, "the Indonesian Cooperative is the saka guru of the National Economy". " _ wiki saka guru. This indicates the influence by various people from Punjab and their association with nobles. Logically that would extend to military service by Punjabis in Indonesia.